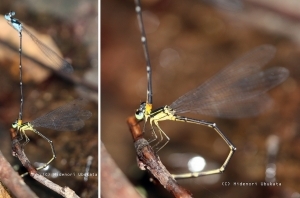 ***Orr, A.G. (2009): Reproductive behaviour of Libellago semiopaca on a Bornean rainforest stream (Odonata: Chlorocyphidae). International Journal of Odonatology, 12: 157-180. **Dayananda, H. G. S. K. & Kitching, R. L. 2014: Ovo-viviparity in the Odonata? 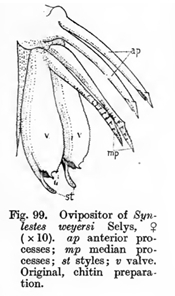 The case of Heliocypha perforata (Zygoptera: Chlorocyphidae) . International Journal of Odonatology, 17: 181-185. *Dayananda, H. G. S. K. & Kitching, R. L. 2014: Ovo-viviparity in the Odonata? 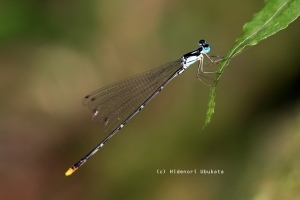 The case of Heliocypha perforata (Zygoptera: Chlorocyphidae) . International Journal of Odonatology, 17: 181-185. **Crespi, B. J. 1989. Facultative viviparity in a thrips. Nature 337: 357-358. **Gullan, P.J. & Cranston, P.S. 2010: The Insects: An Outline of Entomology, 5th Edition. Wiley-Blackwell, Oxford. **** Wiman, N.G. & Jones, V.P. (2012)： Influence of oviposition strategy of Nemorilla pyste and Nilea erecta (Diptera: Tachinidae) on parasitoid fertility and host mortality. Biological Control, 64 : 195–202.